These are our choice selections for July 2016. Winter is a great time to plant trees. Winter is a great time to plant trees as growth has slowed (if not completely stopped) to cope with the onset of colder weather. 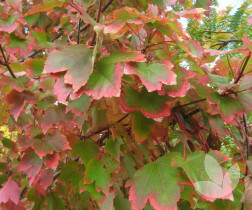 Planting now ensures the tree is settled before it has to re-energise with new spring foliage and/or flowers in preparation for the warmer months. Here are our choice selections for Winter 2016. For more selections and information, please contact us on 03 9796 8308 or via the website here. It's bare now but as you can see from the photo above, 'Sango Kaku' is a stunning tree. Characteristic of this species is red stems. In Autumn, leaves turn a bright yellow with an orange tinge at the edges. A coral coloured trunk is it's feature in winter. This is a glorious Canadian maple grows big and full above 12m. 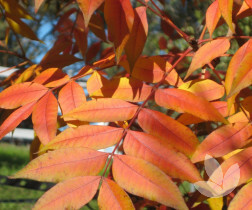 It is a beautiful rounded tree for Autumn colour selection, although leaves stay green longer than other varieties before turning bright orange to deep red. This time of year, they are dormant and without foliage, so it is a good time to plant. This tree is very long lived. 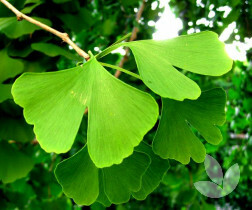 It's unique fan shaped leaves are very beautiful and very distinctive. The leaf is a rich green turning a golden yellow in autumn. Now they are bare limbs but their open structure is architectural and very appealing in a winter landscape. This is a native evergreen tree so it is in leaf now. A highlight of this tree is its their long, almost weeping clusters of small bell-shaped flowers that cover the tree in summer. This makes it a very distinctive specimen in the landsape. 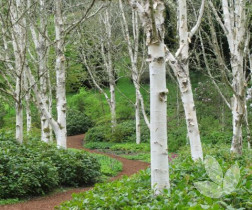 This is another deciduous tree with a striking white trunk in winter when it is completely devoid of foliage. Landscapes are transformed into a winter wonderland when this tree is multi-planted as shown. 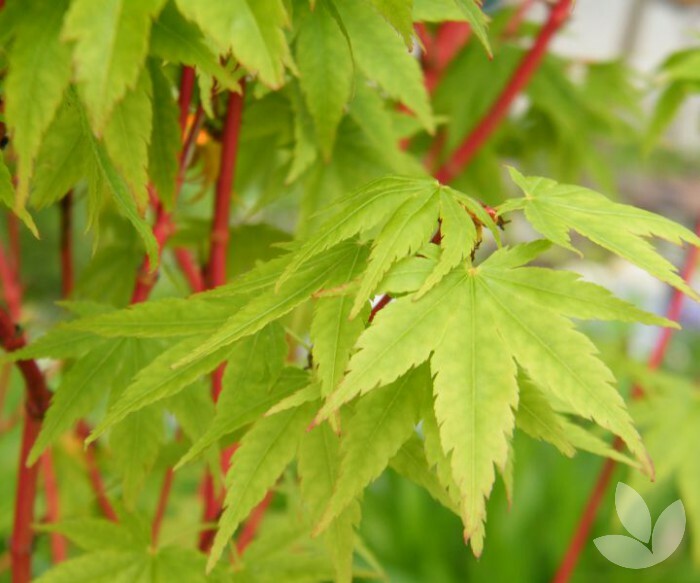 In spring bright green foliage returns until green gives way to pale yellow in autumn. This tree is defined by great autumn colour. As a deciduous selection it is bare in winter, but the show beforehand is a kaleidoscope of oranges, red and burnt yellows. 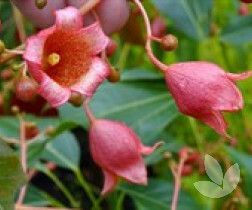 It is a selection we feel very underutilised in south eastern climates. It has a neat round form too which works well in an urban environment. 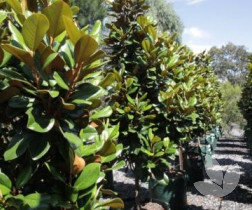 This is an evergreen magnolia growing to 4m with rounded and cupshaped leaves that are held tightly on the tree making it denser than other evergreen forms. Leaves are glossy and it produces stunning large white flowers. 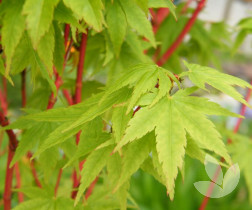 Planting now will ensure a strong specimen before the onset of summer heat. 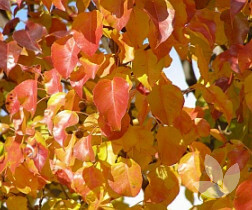 Pyrus 'Cleveland Select' is another great selection for autumn colour. Being an ornamental pear tree with a moderately open form, it looks great anytime of year. But being deciduous, they are best planted with other evergreens to retain visual interest in your landscape throughout the year.